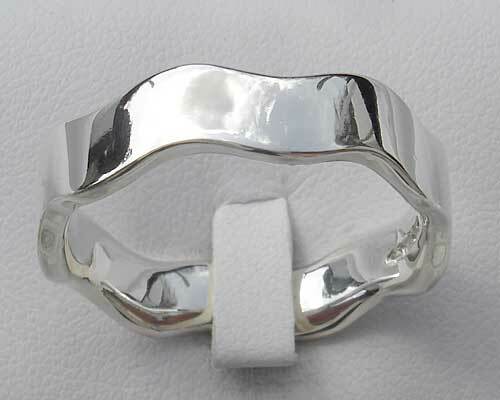 Women's Contemporary Silver Wedding Ring : LOVE2HAVE in the UK! 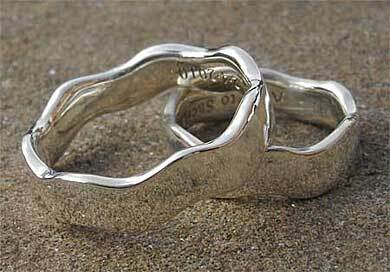 This women's silver wedding ring comes fashioned by hand into a contemporary wave shape. Its designer styling is available in two widths - a 6mm version and a narrower 3mm version as pictured which would be suitable for women. 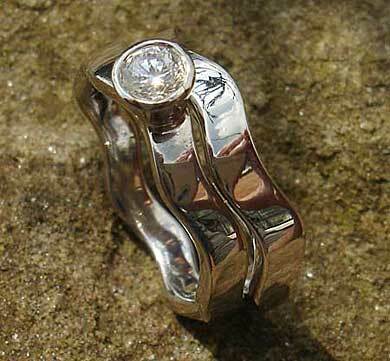 The narrower version is also designed to sit with the engagement ring which we also sell. Please contact us for further details if you are interested in this. 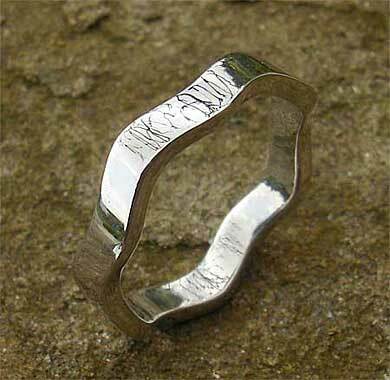 Finally, the ring comes in a polished finish and as also pictured on this page makes a fantastic and very unusual silver wedding ring set.